Flowers, chocolates ( yes please ) and dining are always high on the menu for Valentine’s Day and many people love to mark the occasion. But then, there are some who would rather stay at home and not get caught up in the hype. If flowers and chocolates are not for you and you find the whole romance thing a bit much, you could always garnish your food with a subtle touch of romance. Remember when Richard Gere in the movie “Shall We Dance” came up the escalators with a single red rose… well you can place your single edible rose on what ever your heart or stomach desires. How to make: Using a sharp paring knife cut thinly into the top of the tomato creating a base for the rose, which should still be attached to the tomato. 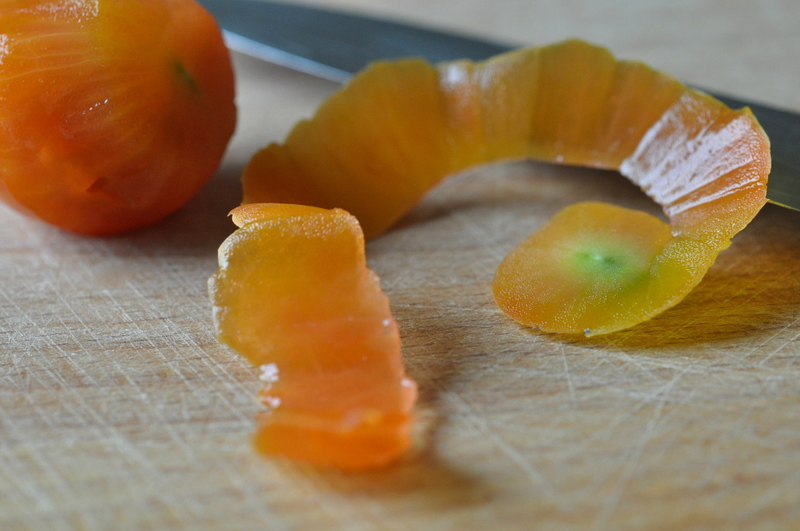 Continue cutting a thin spiral strip around the tomato just under the skin. 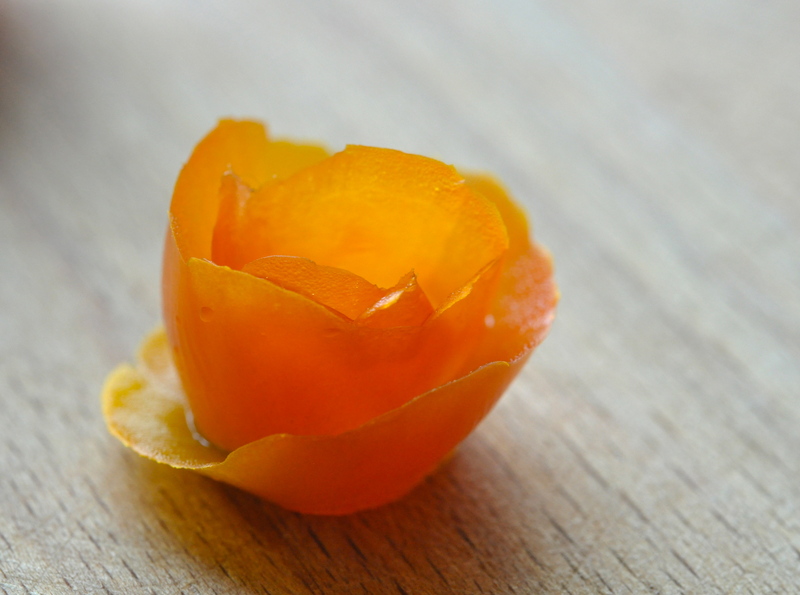 Roll the strip of tomato skin up and onto the base to form the rose. Fresh chives or parsley stalks can be use for the stem, fresh mint leaves or parsley for the leaves. Happy Valentine’s Day! 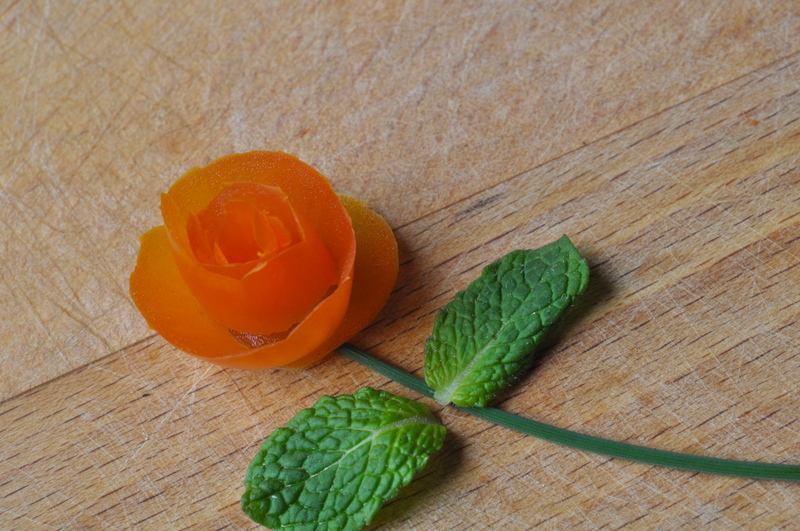 I like to add little touches of garnish to my food and making a tomato rose is one of my favorite!